Gold Mining Shares ETF Give Big Bangs for the Bucks. 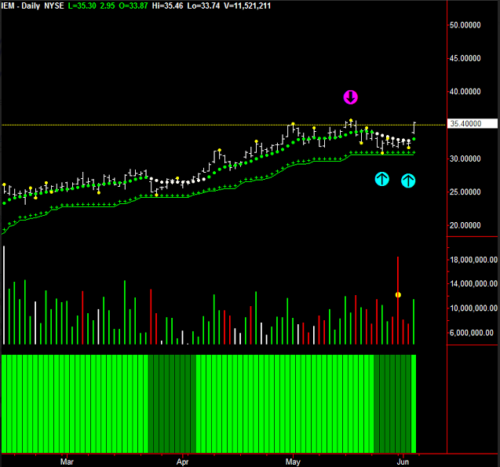 Last week gold went up 2% but the gold miners’ index, ETF GDX, rose 11%. But be careful. We are highly overbought on gold and gold miners’ stocks GDX and should expect a pull back soon within the overall uptrend. In fact, a recent report from Morgan Stanley Australia, states that miners are now extremely overvalued. 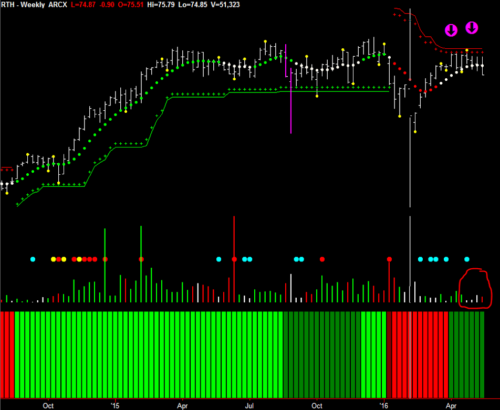 Example: Newcrest Mining (NCM.Australia) trading at $21.76 Australian Dollars, compared to fair value of $A12.90. That’s 68% overvalued. 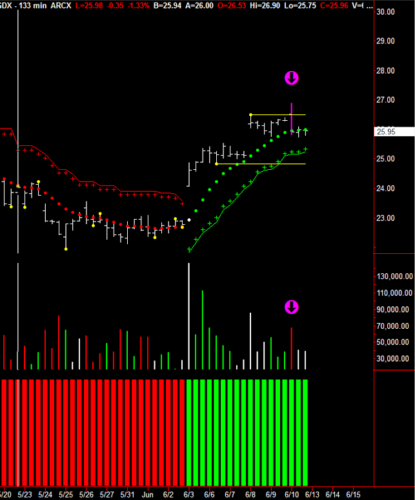 The 133-minute chart (a third of a day that the ETF trades) shows a classic volume upthrust, followed by 2 bars of no demand volume indicating a probable pullback. The ETF of the gold miners is clearer. 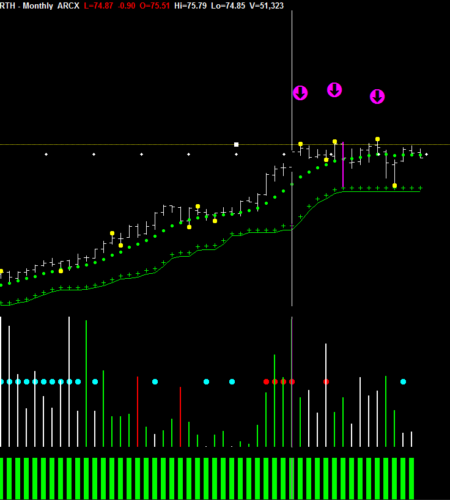 Again a volume upthrust, but look at the Trend dots. They are going flat, indicating this move is now in congestion entry, so expect a pullback in the overall uptrend. An Upthrust Bar is a wide range bar, with a high volume and closing down. It indicates that the prices were marked up during the day, trading activity was high as indicated by the high volume, and the prices dropped to near the low (or to the low) towards the closing hours. Let us recap on the last few weeks. The S&P appears to be in the first stage of breaking down. 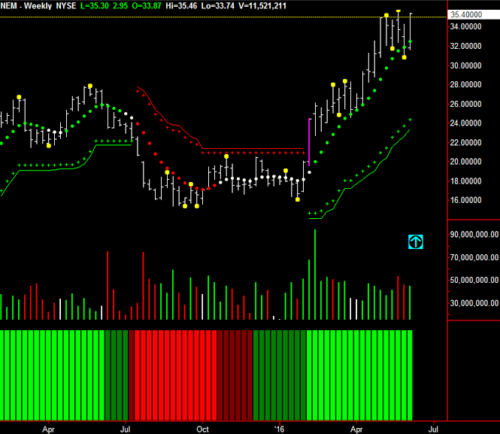 We have a triple top on the Monthly, congestion entry on the Weekly and downtrend on the Daily. Over the next few weeks the market will test the last Hawkeye weekly Pivot high, and then test the last weekly Pivot low at 2030. It’s also forming a weekly wedge profile and when broken – watch out! Apple, as mentioned last week, broke down. The next test will be the Hawkeye weekly Zones at $76. BUT here is the big story. Retail is in a bad, bad way. Profits are plunging for Macys, Kohls, Nordstrom, and Gap stores. PacSun, Aeropostale and Quiksilver have filed for bankruptcy. Amazon is doing great, but is that because the retail pie is shrinking or have people really changed their buying habits? So what does Hawkeye say? Let’s look at one of the retail Exchange Traded Funds (ETFs) – RTH. 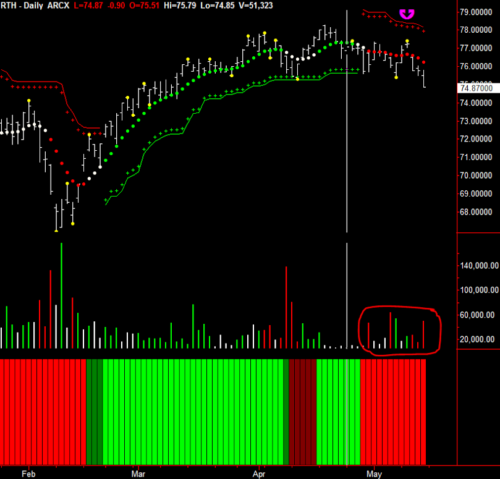 Triple top in congestion and Hawkeye Volume showing two months of white no demand volume. The price was rejected twice when it tried to break through the Hawkeye stop area. 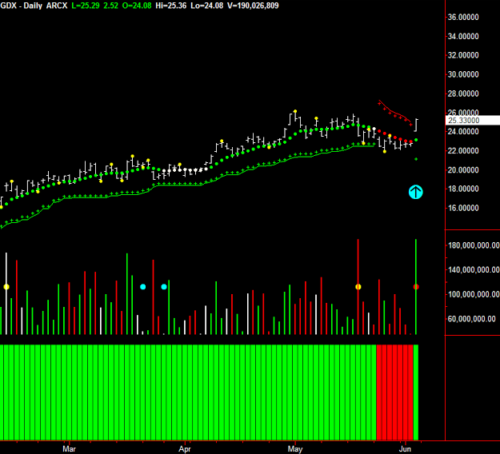 Trend is white and in congestion and three weeks of no demand and the last week selling volume. 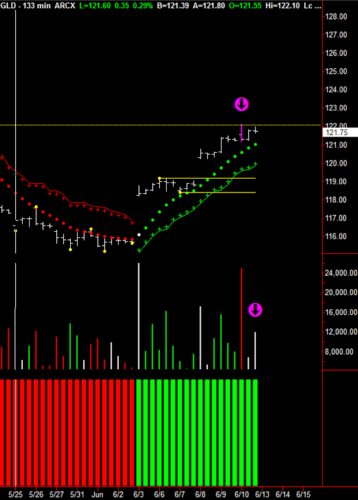 A Pivot high, indicated by the magenta arrow, is pushing prices down, with the Hawkeye Volume in downtrend. We are at major turning points on many sectors. So many opportunities to trade options and ETFs.